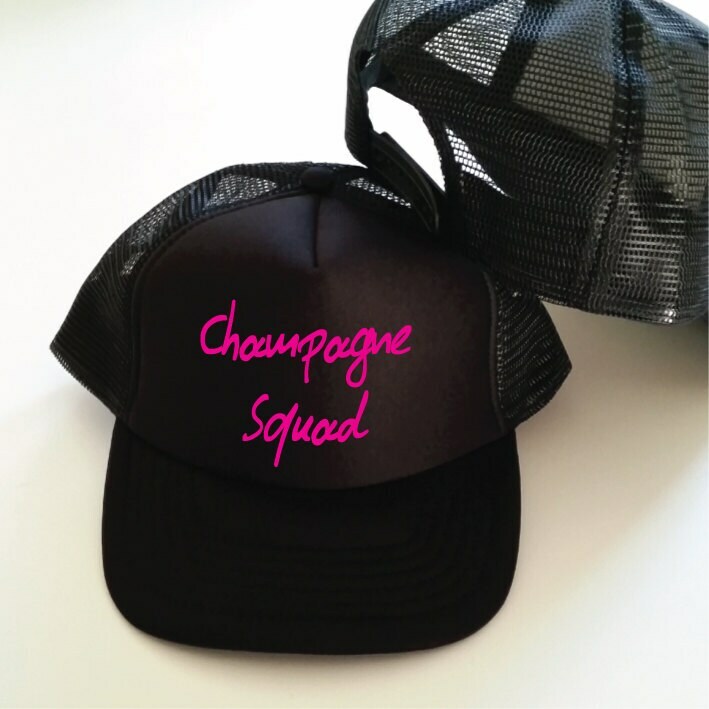 These Champagne Squad Trucker Hats are the perfect addition for any Bachelorette Party, Wedding Party, Bridal Party, Hen Party, Birthday Party, New Years Eve Party or a Girls Night Out. Please check our HAT SETS if you need 5++ Hats. 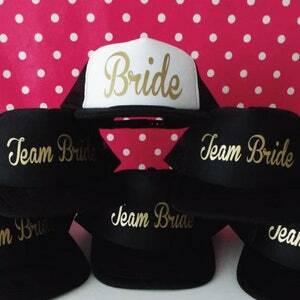 Set Of 15 Bachelorette Party Hats. 14 Squad Hats. 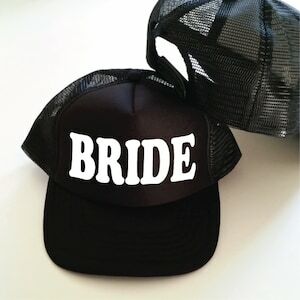 1 Bride Hat. Wedding Party Hats. 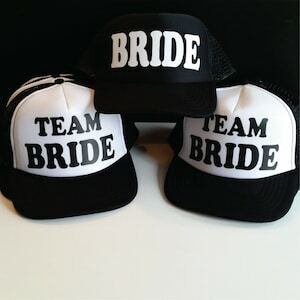 Hen Party Hats. Snapback Trucker Cap. 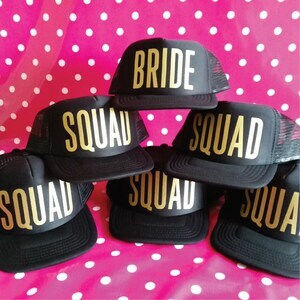 Bridal Party Caps.